Luxury brand Aston Martin has opened its first showroom in Newcastle, complete with a Q by Aston Martin lounge, where customers can choose bespoke items to tailor their car to their own spec. The motor manufacturer has teamed up with the Stoneacre Motor Group for the new venture, which includes a 14-car showroom selling new and used Aston Martins. The workshop is run by technicians trained by the high-end marque. If you are opening a new branch of your business or expanding on your existing site, check that you have adequate motor trade insurance to cover the new venture. You may not be selling expensive Aston Martins, but it’s important to get the level of insurance right for the kind of stock you have and the work you carry out on site. You may be best served with a combined motor trade insurance, which covers the fabric of the building, as well as its contents. The new Aston Martin centre is based at the Silverlink, which is just off the A1 and A19 near Newcastle. 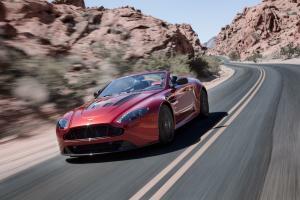 It was opened by Aston Martin's CEO, Dr Andy Palmer. He said: “I am delighted to open this outstanding new facility here in Newcastle, which sets the benchmark for all dealership showrooms worldwide. We have found the right partner in Stoneacre who share our passion for Aston Martin. More than 200 of the brand’s owners and enthusiasts were invited to the opening event, which featured the first UK unveiling of the DB11 model. Guests also saw the #99 V8 Vantage GTE, an Aston Martin Vulcan, a Lagonda TarafT and a number of heritage models as well as cars from the new range.